It hasn’t even been a month since Facebook finally launched Facebook Lets Teens Share Publicly, Allowing Follows & Launches App For Win 8.1 Facebook Lets Teens Share Publicly, Allowing Follows & Launches App For Win 8.1 Facebook is now allowing teenagers to share all their posts publicly. Additionally, teens can turn on ‘Follow’ so that their public posts can be seen in people's News Feeds. Read More its app for Windows 8.1 and it’s already getting an update with a bunch of new features. Among the notable additions are the ability to use the Snap View feature for multi-tasking and the option to download photos. Snap View is the multi-tasking mode first introduced in Windows 8, which was enhanced in Windows 8.1 to accommodate more windows in a screen. Facebook can now be snapped to a width of 320px, letting you open another window alongside, so that you can continue chatting in your Facebook messenger while doing stuff in other apps. Windows 8.1 puts a lot of focus on the Lockscreen, especially with its new ability to show photos like a slideshow. To take advantage of this, the Facebook app to let you download pictures and save them to your Lockscreen or Profile Picture. Speaking of photos, you can also add pictures from your own hard drive to any comment you are making—a feature that was missing so far. And you can also share photos in chat (as well as share other file formats). Windows 8.1 has a built-in location-tracking feature, but that can be disabled in the Facebook Messenger now with a new toggle button to switch location-sharing on and off. With Windows 8, Microsoft introduced the new Modern UI meant mainly for tablets, but also available on desktop. Facebook’s app is made entirely in Modern UI, so it won’t be available if you use it in the ‘Desktop’ mode. And you will need Windows 8.1 to use it as it hasn’t been launched for Windows 8 yet. Here’s how to upgrade to Win 8.1 How To Upgrade To Windows 8.1 & How To Downgrade Back To Windows 8 How To Upgrade To Windows 8.1 & How To Downgrade Back To Windows 8 The Windows 8.1 update is free, easy, and gives you access to new and improved features. It is, however, impossible to simply downgrade to Windows 8, unless you plan to before updating. Let us show... Read More (and downgrade back to 8 if you don’t like it). 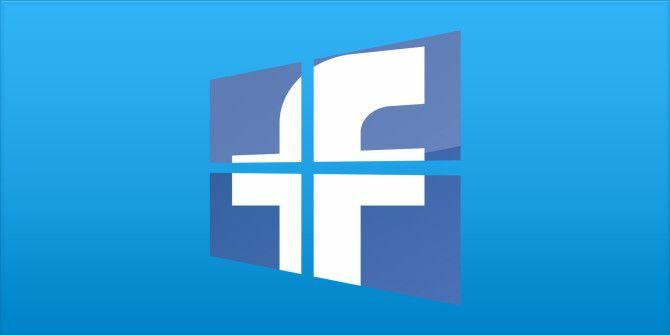 If you don’t want to upgrade, check out some more Facebook clients for Windows 8 The Best Windows 8 Facebook Apps Compared [Weekly Facebook Tips] The Best Windows 8 Facebook Apps Compared [Weekly Facebook Tips] It took Facebook a long time to release an official Windows 8 app, so it's not surprising that most Facebook users already have an app or ten. But which ones are worth keeping? And why? Read More . Update your Facebook app on Windows 8.1 manually or download the app from the Windows Store. Explore more about: Facebook, Windows 8.